Florence resting on my bump., originally uploaded by indiaeden. 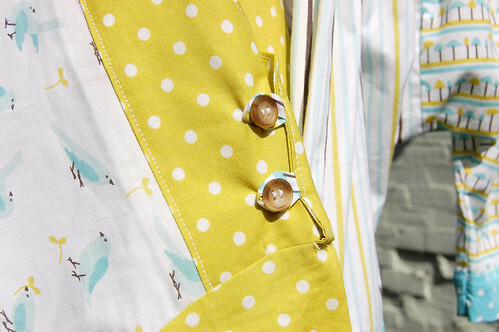 I like sewing away in my loft, listening to the radio and feeling baby boy kick, even the sun is shining today. 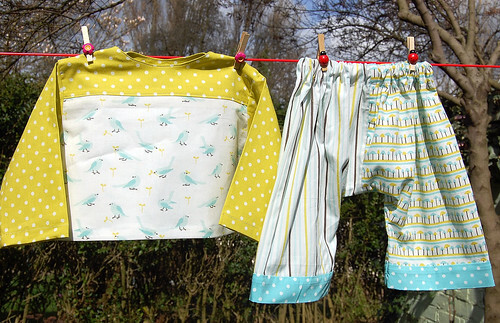 I've used some of my lovely Cloud 9 fabrics to make another little outfit. A smock and some trousers. Think I've enough fabric left for a quilt too. 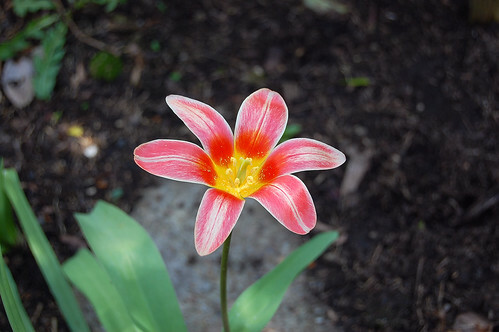 And a tulip just because. I love your fabrics. 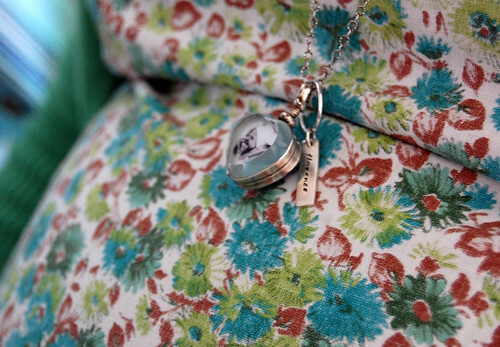 And the top pic of the locket resting on your bump. That top picture is stunning. I love the locket. xo. I love your posts, they are always so beautiful. I love the locket pic. The bump picture with you, florence and the babe is just heartwarming. The material for your top is gorgeous. 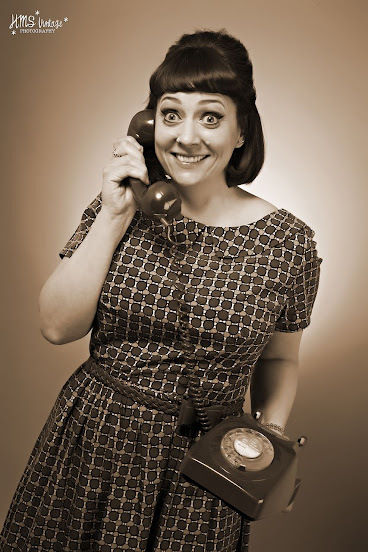 Hope the gaviscon is working... have you tried really cold milk? Thank you for your lovely comment. 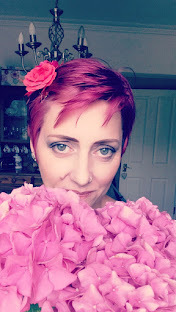 I can't believe that I haven't been reading your blog - you sew so beautifully, you are pregnant and you have lost a precious baby girl just like me (not that I sew so well and although that sounded awkward, I am just struck by the similarities). You have also mothered after the death of a baby and this is such a complex and harrowing journey. Florence is beautiful and I am so sorry that she is not here. I spend so much of my days and dreams thinking about babies that are not here. I guess that will always be the case but it's just so intense at the moment. I wish you such a safe journey. I will be thinking of you. I am wishing you peace and happiness.. Your beautiful pregnant belly is perfect and so is your love for Florence.